“Plant geek breeders,'” as horticulturist Jim Ault calls his tribe, gathered for an information-packed lecture Friday morning at the Farwest Trade Show. Ault is the Director of Ornamental Plant Research at the Chicago Botanic Garden and Manager and Plant Breeder, Chicagoland Grows® Plant Introduction Program. He brings an extensive background in botany and ecology to the field. “Successfully growing any plants in our gardens ultimately depends on understanding their inherent adaptations to their natural ecosystems and our manmade landscapes,” Ault said. 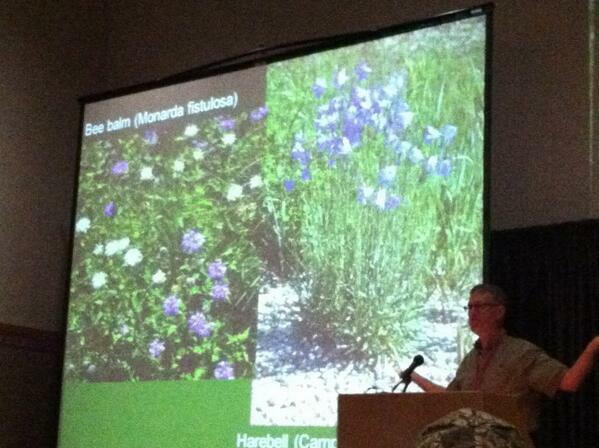 Using Midwestern woodlands, prairies, and glades to western desert and montane ecosystems as his sources of germplasm, Ault discussed how he selects plants for study, modifies plants though breeding, propagates, and ultimately introduces perennial plant hybrids for garden use. What was the original habitat? Where was the original habitat? Who did they associate with in their original habitat? When were they removed from their environments (ie, cultivated)? “Answers to these questions will clue you in to how to cultivate,” Ault said. For example, only .2% of wild prairies remain. Ault has made it his mission to cultivate, preserve and hybridize plants from the practically extinct Midwestern prairie. “Juniperus horizontalis in its natural environment thrives in sandy prairies; no wonder it won’t do well in wet clay soil!” he said. “Nothing beats boots on the ground. 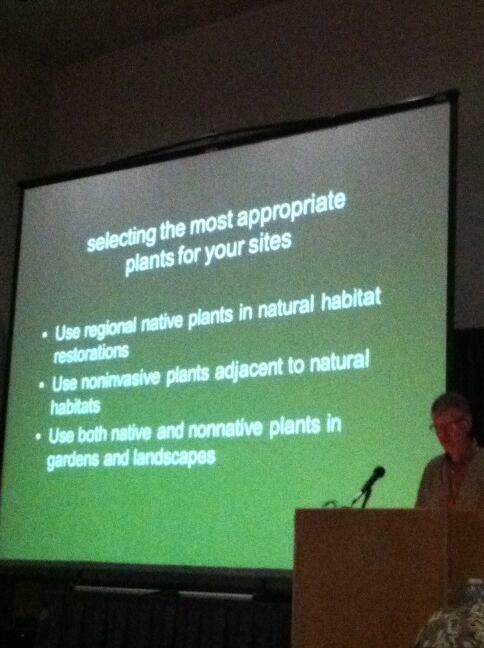 Go out there and collect native plants,” Ault said. He then proceeded to relate case examples of baptisia, echinacea, phlox, and heuchera, comparing the native plants in the wild to how they have evolved through cultivation and hybridization.